I am so lucky to work with such wonderful people, this lovely couple is a great example. I am working hard to get the final images ready, any day now. I had a difficult time choosing which images to share here, I have so many favs. The mom-to-be looks radiant. Love the posing here. And that shot of them with their first “baby” is just too cute! Wow- that mom2B is stunning! I love the first with the view and the one of her lying down- such beautiful images. The two with the dog are perfect!! Wow, goodness- these are just stunning! 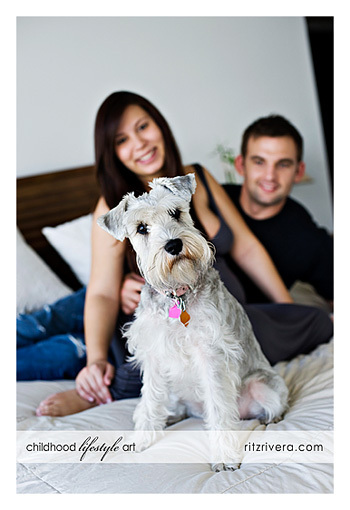 And I love their schnauzer!! Your color is so awesome here…that dog is too cute as well. I love that first picture! 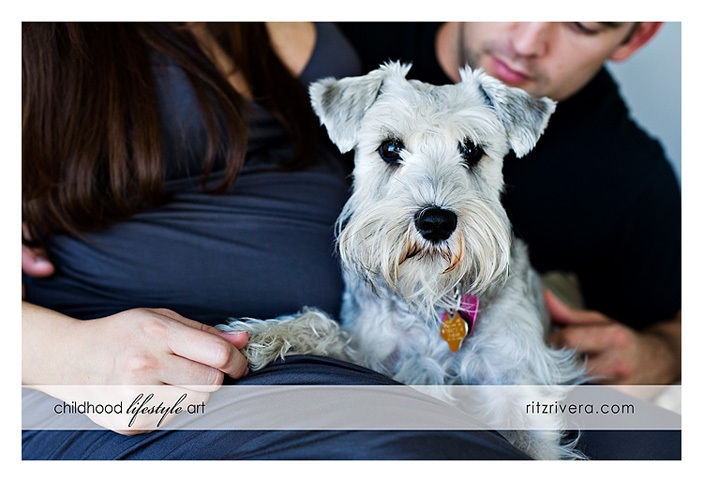 On location photography gives such a nice meaning behind family portraits! Great shots! These are so beautiful! 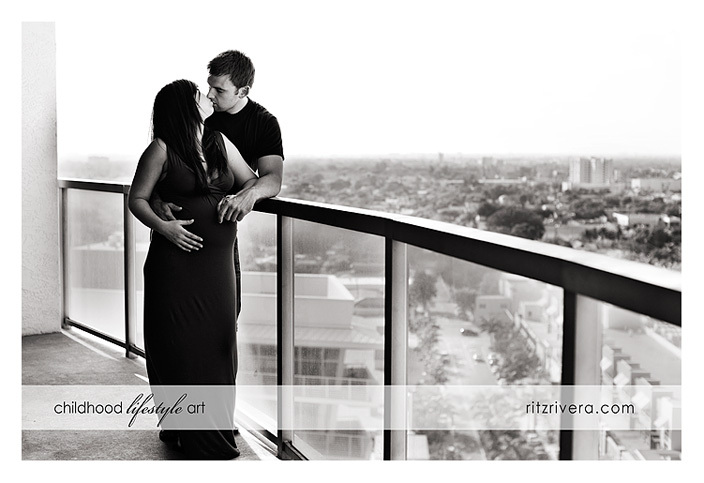 I love the airy soft light and you are the queen of maternity sessions. So pretty and what a special time documented.